"We give to the nature the time which it needs to the tyre!" 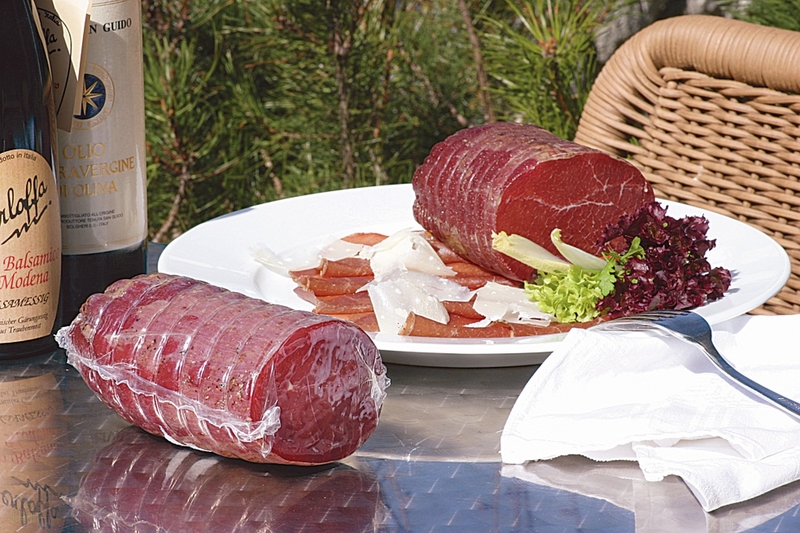 With the Bresaola we mean an air-dried cattle ham Italy, the taste a little milder and more softly than the Swiss "Bündnerfleisch". 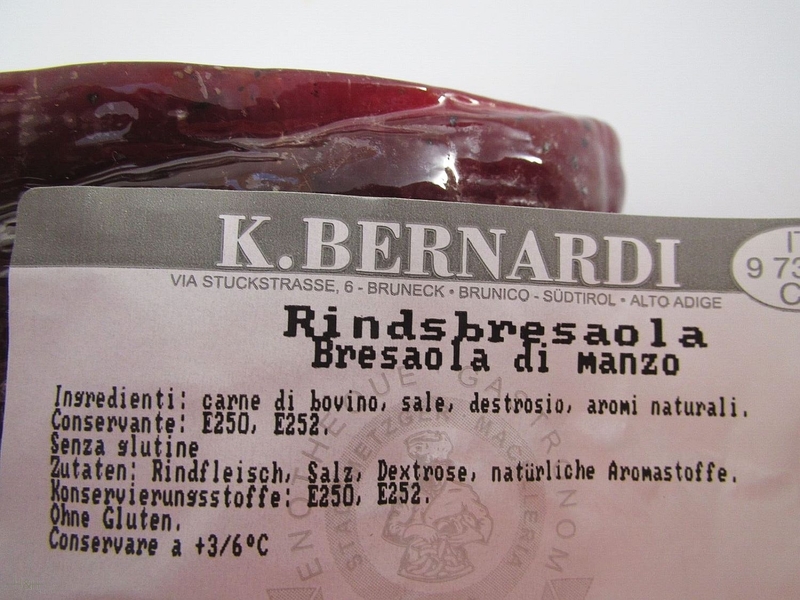 The Bresaola is better known to us as stored, raw cattle ham. 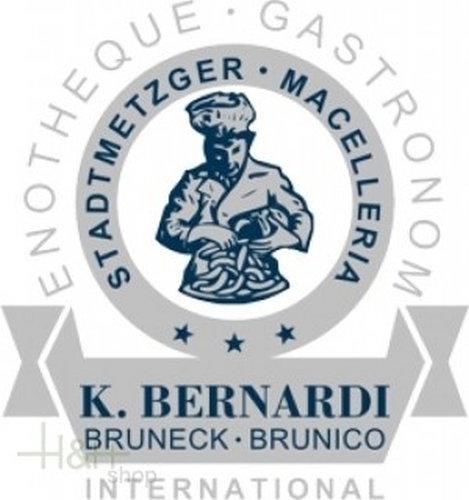 To reach a well-balanced product, we use the so-called "Weißscherzel" (girello) the cattle leg. After a brine time of 4 weeks, the bresaola is stored in our natural stone cellars at controlled temperature and air humidity. Besides, we place big value of the natural development of the Potrity (=natural noble mould). The Potrity is the blossom for us and at the same time the sign for the maturity of the product. Of course this mould is removed after concluded ripe process. This happens with brushes in the dry state. Cutting in fine slices, with thinly planed Parmesan stripes, some balm vinegar and olive oil the Breasaola is an Antipasto which searches his equals. Also good on a "Brettljause" (Tyrolean plate with typical specialities like speck, smoked sausages, ecc.) the Bresaola should not be missing. Buy now this product together with Belly Bacon Steiner piece approx. 1 kg. ready for shipment: in ca. 5 days Belly Bacon Steiner piece approx. 1 kg.